By Magnus Hult, on 18.12.2014. 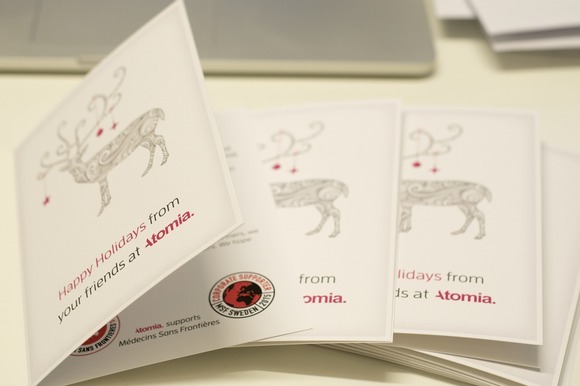 We sent out our holiday greeting cards to customers and partners yesterday. It’s always fun to also give away some cool gifts, but we decided this year to instead make a good-sized donation to Doctors Without Borders (a.k.a. Médecins Sans Frontières, MSF). We are in awe of their selfless, humanitarian efforts. They make a real difference in the world and we are more than happy to support them. We would like to encourage other companies to do the same. Pick your charity of choice and lend them a hand by making a donation. They can always use your help. By Peter Alguacil, on 16.12.2014. 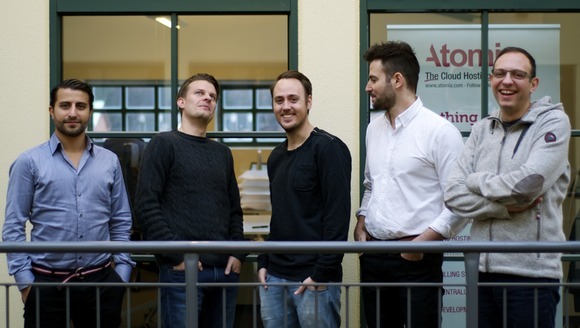 Since this past summer, five excellent individuals have joined our ranks here at Atomia’s Swedish HQ. Above, from left to right, you have Ross, Andreas, Niclas, Jean-Francois, and Ivan. So who are these gentlemen?